See a youtube playlist of videos for the book. Religious freedom is a founding tenet of the United States, and it has frequently been used to justify policies towards other nations. Such was the case in 1945 when Americans occupied Japan following World War II. Though the Japanese constitution had guaranteed freedom of religion since 1889, the United States declared that protection faulty, and when the occupation ended in 1952, they claimed to have successfully replaced it with “real” religious freedom. 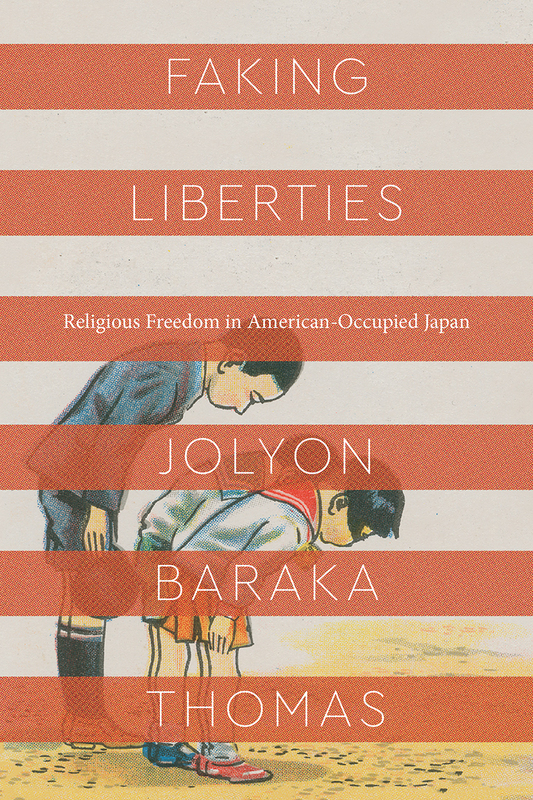 Through a fresh analysis of pre-war Japanese law, Jolyon Baraka Thomas demonstrates that the occupiers’ triumphant narrative obscured salient Japanese political debates about religious freedom. Indeed, Thomas reveals that American occupiers also vehemently disagreed about the topic. By reconstructing these vibrant debates, Faking Liberties unsettles any notion of American authorship and imposition of religious freedom. Instead, Thomas shows that, during the Occupation, a dialogue about freedom of religion ensued that constructed a new global set of political norms that continue to form policies today. 2 Who Needs Religious Freedom? 6 Who Wants Religious Freedom?